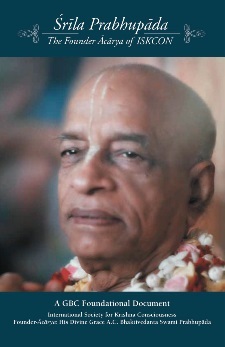 All of the followers of Srila Prabhupada for generations to come adhere to the guidance, association and serve the mission of His Divine Grace, while deepening one’s individual connection and relationship with and recognizing him as the Founder-Acharya of ISKCON and our primary Siksha Guru for all time. 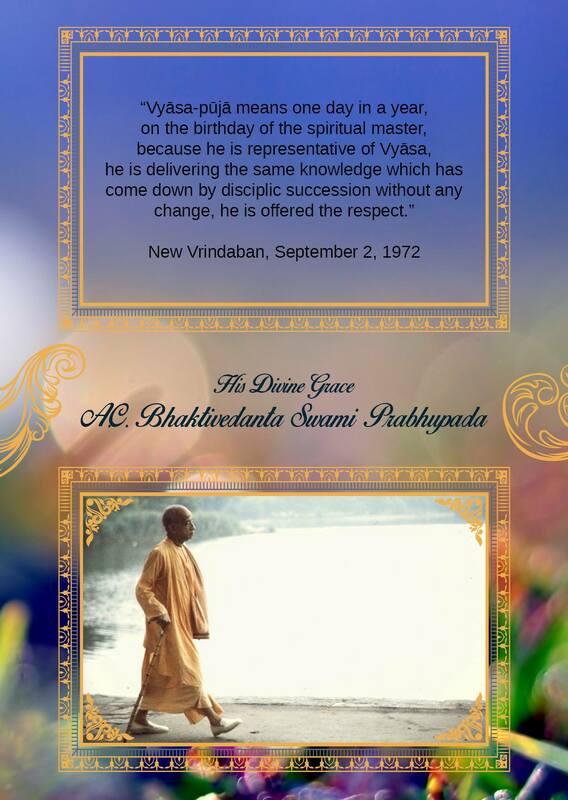 Always celebrating Srila Prabhupada’s Vyasa-puja as a grand event is the essential way to assure that this Vision is the present and future reality of the movement of our beloved Srila Prabhupada. 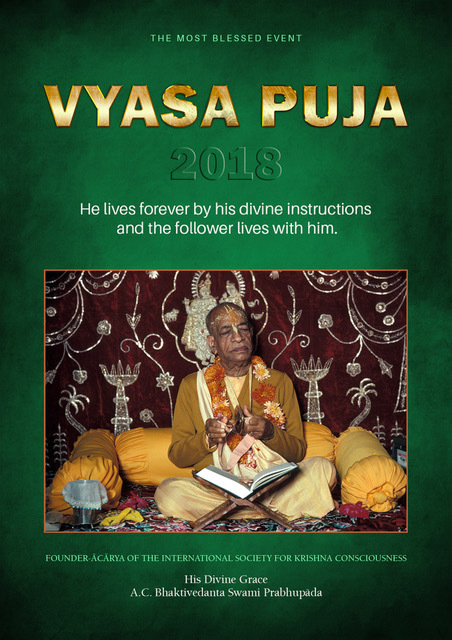 By releasing this Vyasa-puja pack, with its booklet, posters, postcards, banners, videos and more (www.founderacarya.com/vp), the Srila Prabhupada Position Committee aims to inspire and facilitate ISKCON temples and communities worldwide to enhance the celebration of Srila Prabhupada’s annual Vyasa-puja festivities for years to come and to encourage ongoing exchange among devotees. 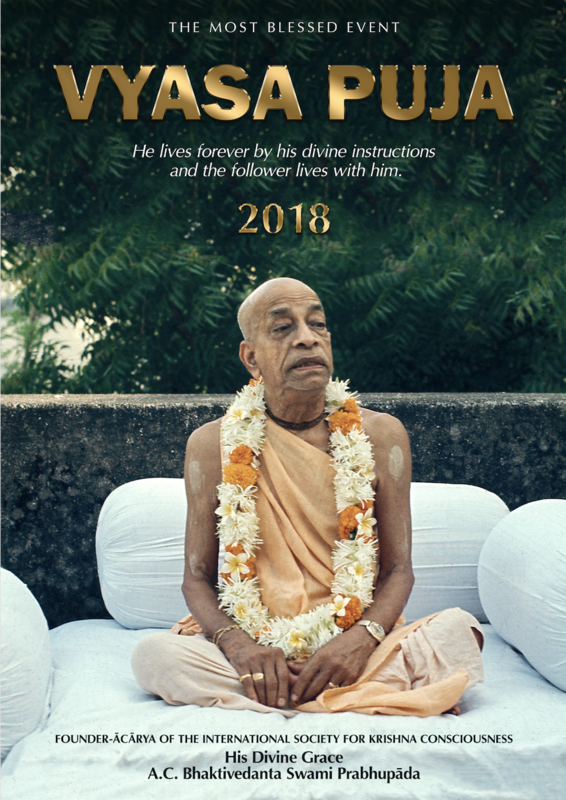 “This booklet through its various elements will guide the devotees worldwide as to how to make proper arrangements for this ceremony in order to establish Srila Prabhupada’s supreme position in ISKCON as the Acharya.”, says Bhakti Charu Swami, Co-chairman of the SPPC. 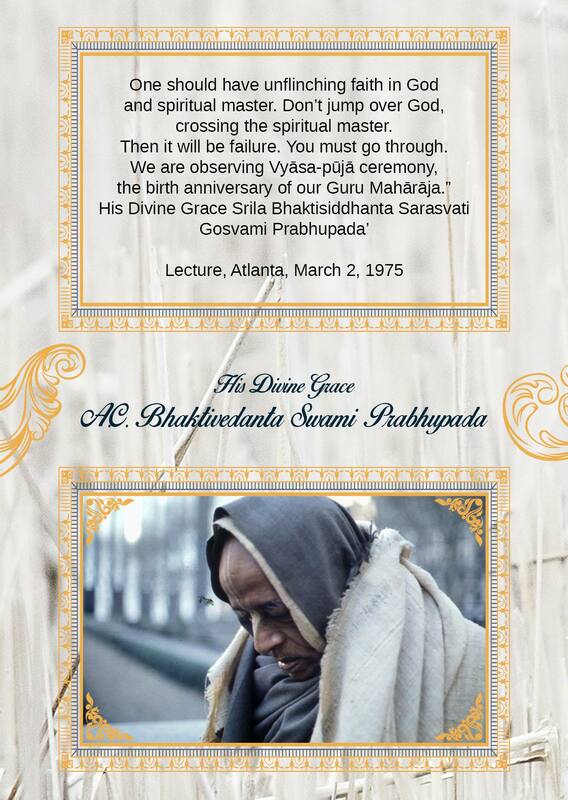 Exalting the festivities of Srila Prabhupada’s Vyasa-puja would provide more opportunities for present and future generations of devotees to nurture and strengthen their individual relationship with His Divine Grace, and further secure the understanding of Srila Prabhupada’s pre-eminent position in our movement. 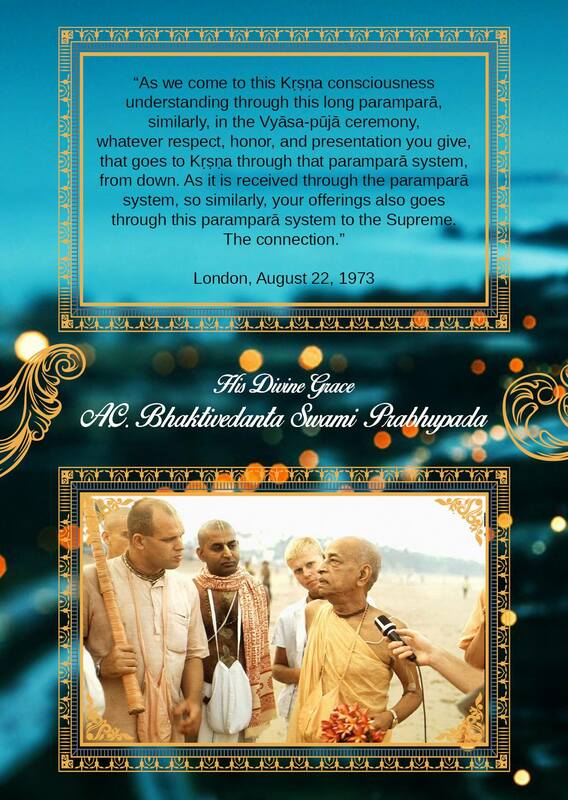 Although an initiative of the Srila Prabhupada Position Committee, exalting Srila Prabhupada’s Vyasa-puja, is not the project of the SPPC, but the project of all ISKCON devotees. 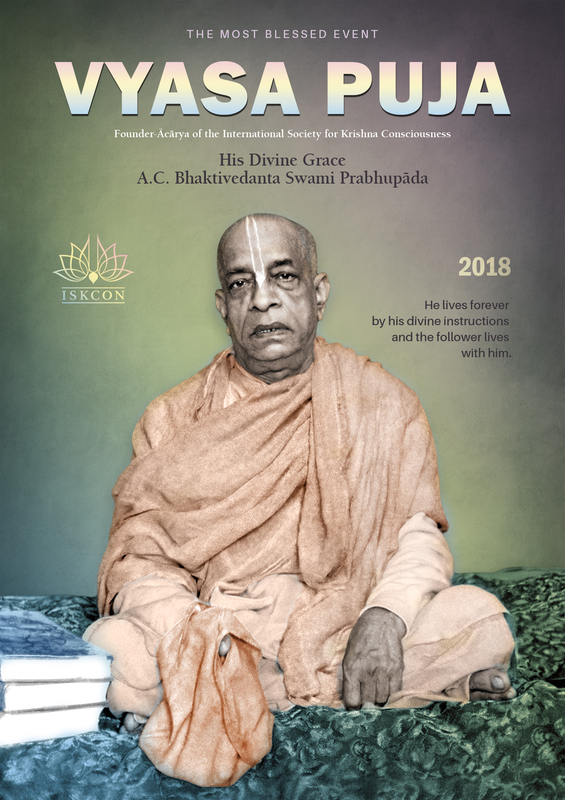 It is only possible through the efforts of all leaders of ISKCON, and requires the participation of all devotees of present and future generations. 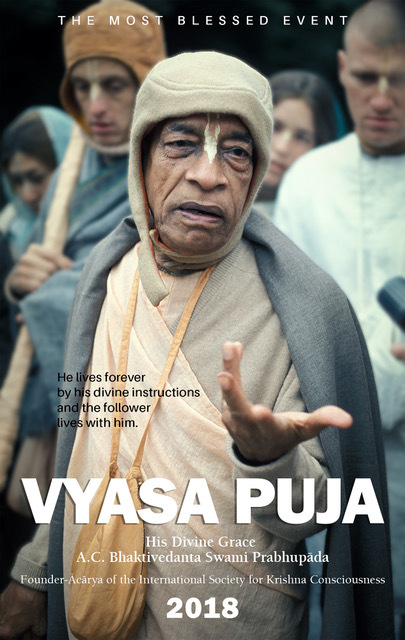 Please visit www.founderacharya.com/vp again for further updates, and download the Vyasa-puja Pack. 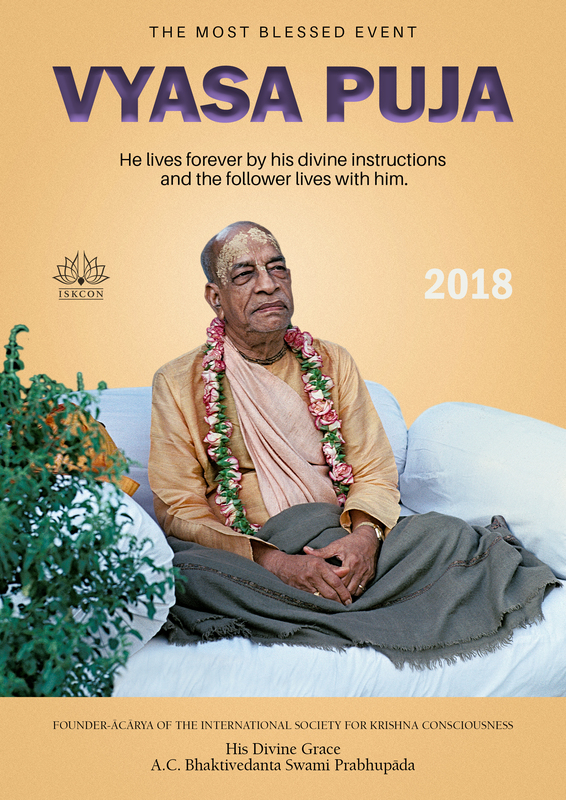 It is very important that we recognize and properly establish Srila Prabhupada as the Acarya of the entire institution – the primary Siksha Guru of all the devotees of ISKCON for all time. 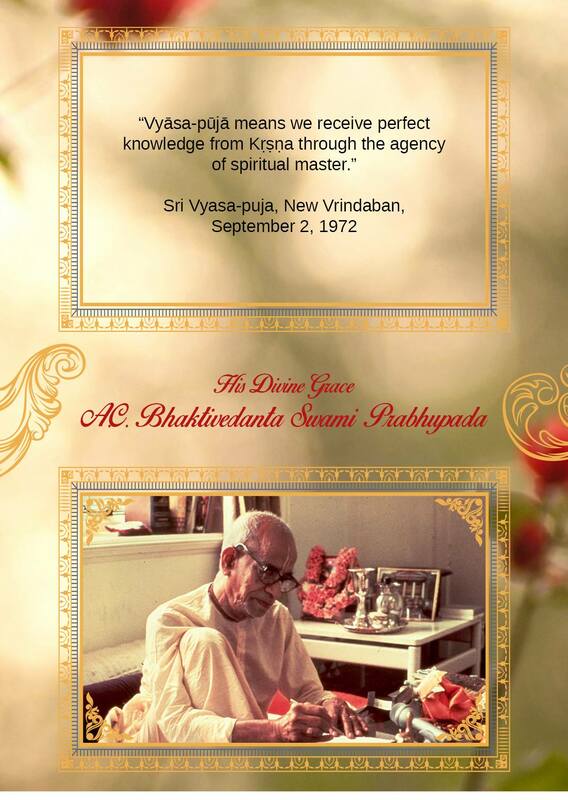 Vyasa-puja is the occasion when devotees not only get an opportunity to glorify the Spiritual Master – but also recognize the need of him in their life for their spiritual advancement. 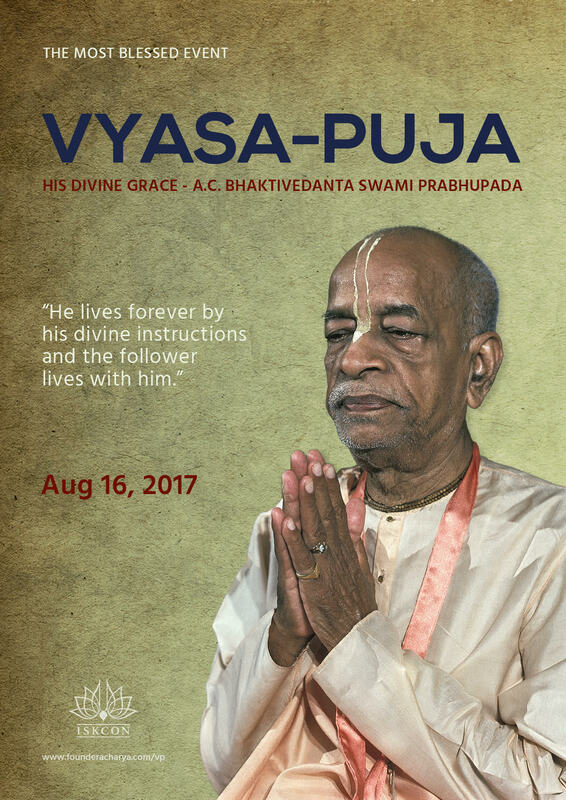 Srila Prabhupada’s Vyasa-puja often does not get its due grandeur – being next to the Janmashtami Festival Day (when after the grand celebration and day-long fasting, most of the devotees are quite exhausted). 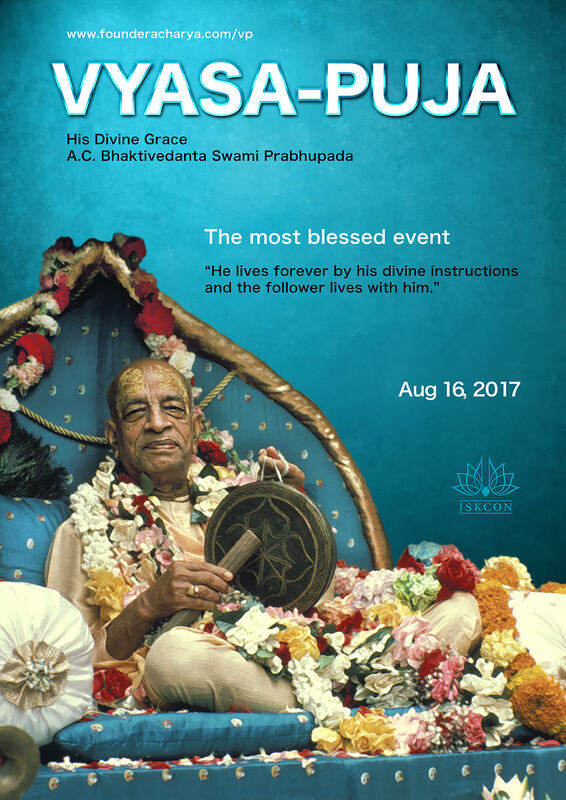 Recently the leading devotees of ISKCON became aware of that issue and a special effort is now being made to ensure that we all celebrate that day with its due pomp and splendour. 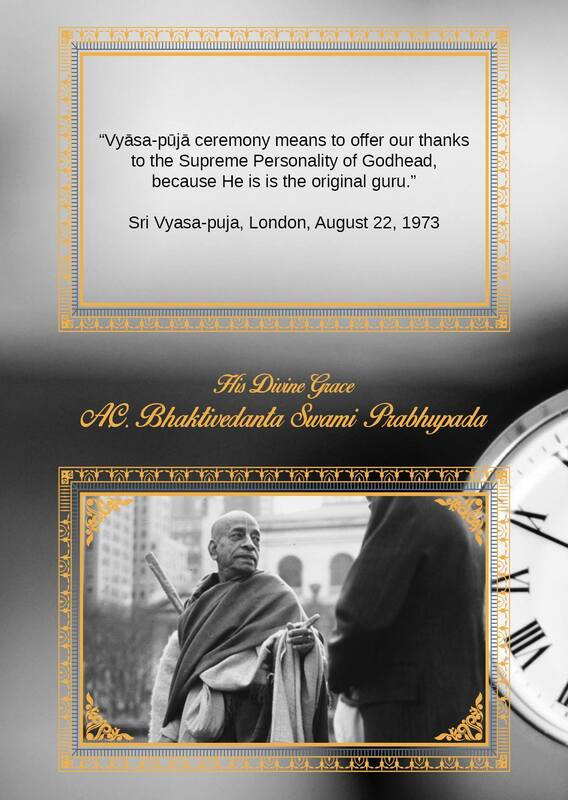 This booklet through its various elements will guide the devotees worldwide as to how to make proper arrangements for this ceremony in order to establish Srila Prabhupada’s supreme position in ISKCON as the Acarya. Please make good use of the help offered for the pleasure of Srila Prabhupada, and feel free to reach out should you require any further help or clarifications. 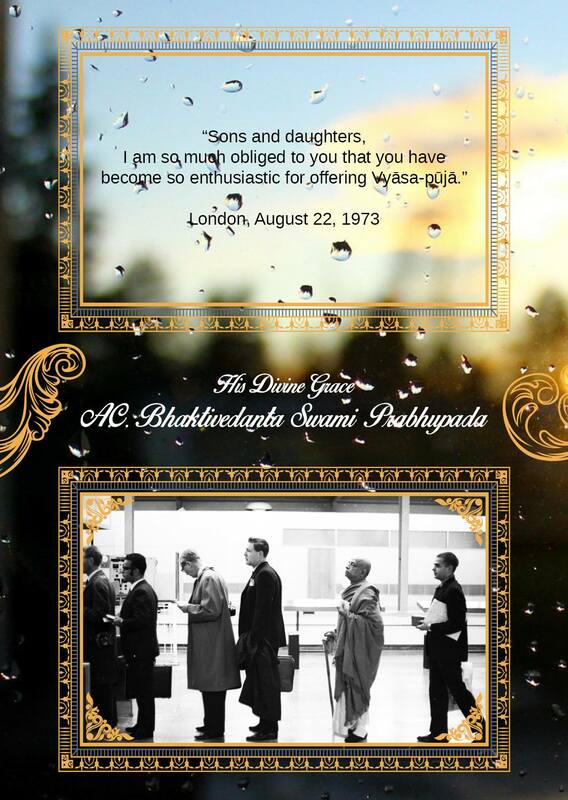 This year is special as Prabhupada sailed from India 50 years ago to fulfill his spiritual master’s order. 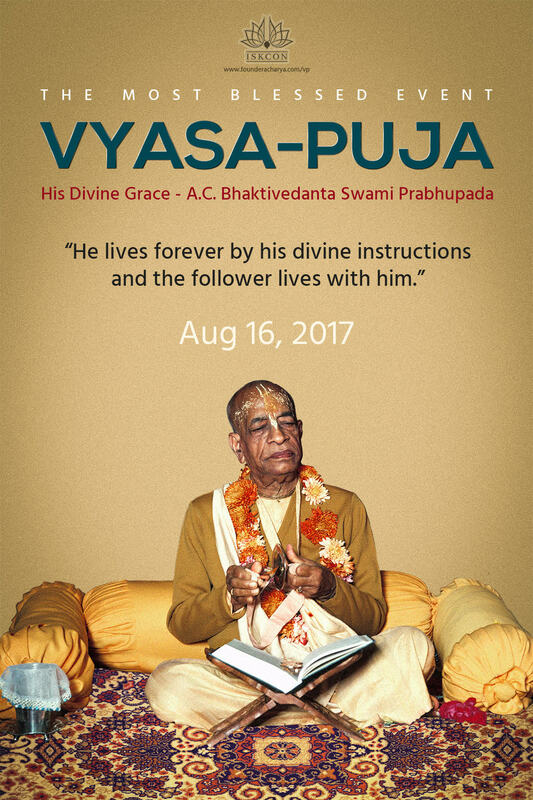 We should celebrate Prabhupada’s Vyasa-puja on a very grand scale and invite all our devotees to the Vyasa-puja celebration. 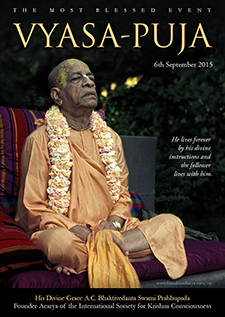 We should encourage every devotee to write an offering to Srila Prabhupada. Sri Vyasa Puja is the Guru Puja of Guru Pujas. 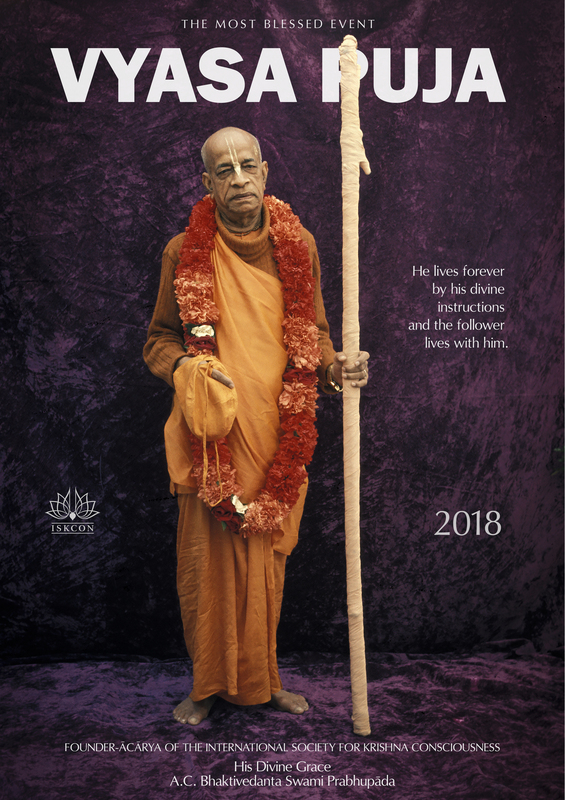 When Srila Prabhupada introduced Guru Puja over forty years ago, most of us didn’t realize the significance of worshiping Srila Prabhupada in full view of the Deities in all of his temples worldwide. And today, even if our mother tongue is Bengali, do we realize the significance of the words, caksudana dilo yei, he opens my darkened eyes and fills my heart with transcendental knowledge; janme janme prabhu sei, he is my lord birth after birth. 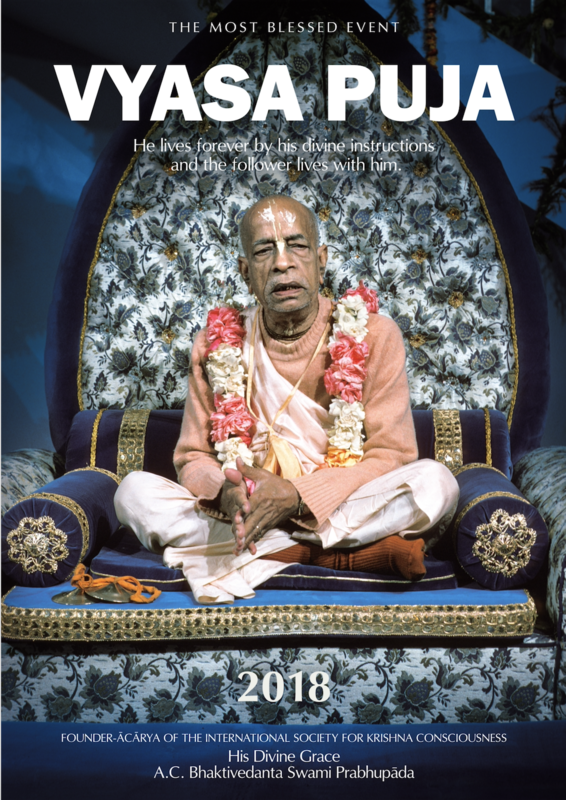 As we celebrate the 50th anniversary of Srila Prabhupada’s leaving India for the West, on this occasion of his Vyasa-puja, let us remember that Prabhupada provides the unity amidst our international diversity so that we can better share the gifts of Sri Caitanya Mahaprabhu. 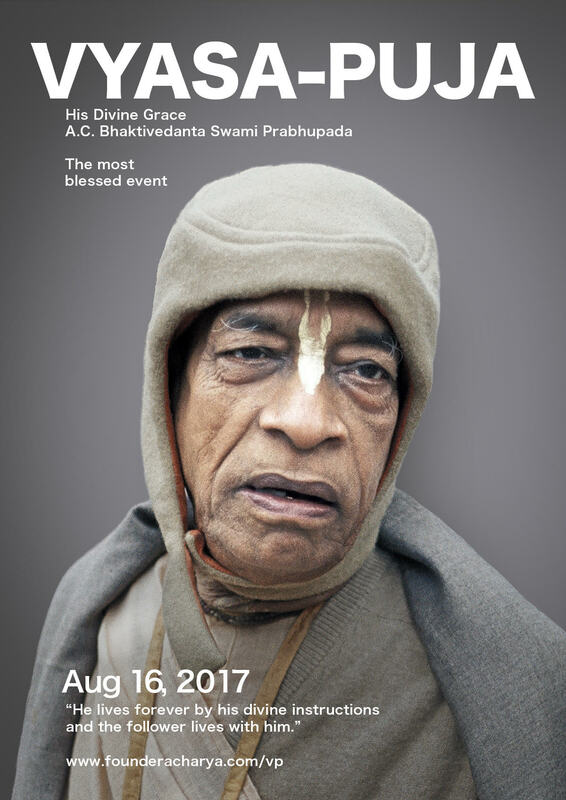 True emotional and factual connection that a direct disciple or a disciple from a newer generation can reveal to Srila Prabhupada is the foundation of the spiritual life. When we get together as a group of his disciples and on the special day of His Divine Appearance we see in others such a connection, our faith becomes stronger. It is especially so when you see such a connection in the new devotees, those who just joined his movement and only began the process. 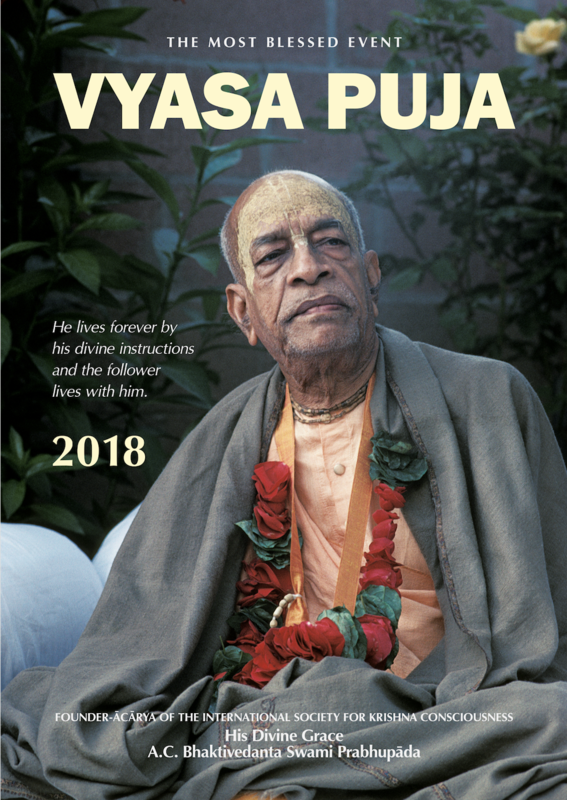 It is essential for any congregation to share those feelings and realizations, not only that of the weathered veteran disciples but even of yet to be initiated devotees of Srila Prabhupada. And that changes the hearts of all. How wonderful it is to remove formalities to the secondary level of consideration. 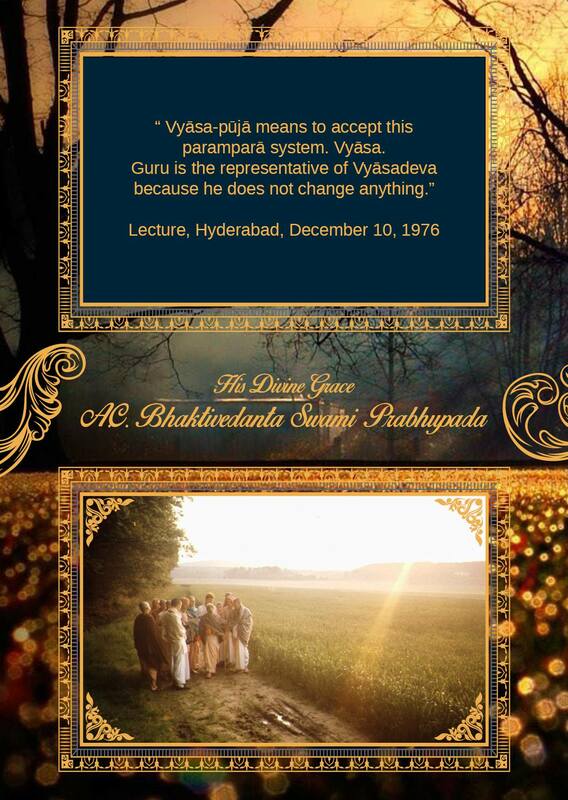 How necessary it is to start seeing the essence of guru-nistha and a true commitment to Srila Prabhupada. How wonderful it is when we see it in all and every person of his movement and not only in the words but also in the underlining determination, in connection to his vani, in actions and especially in feelings his disciples dedicate, express to him; and also encourage in others. When Vyasa-puja celebrations become truly “the most blessed event” – we can expect not just the formal, but factual transformations happen. 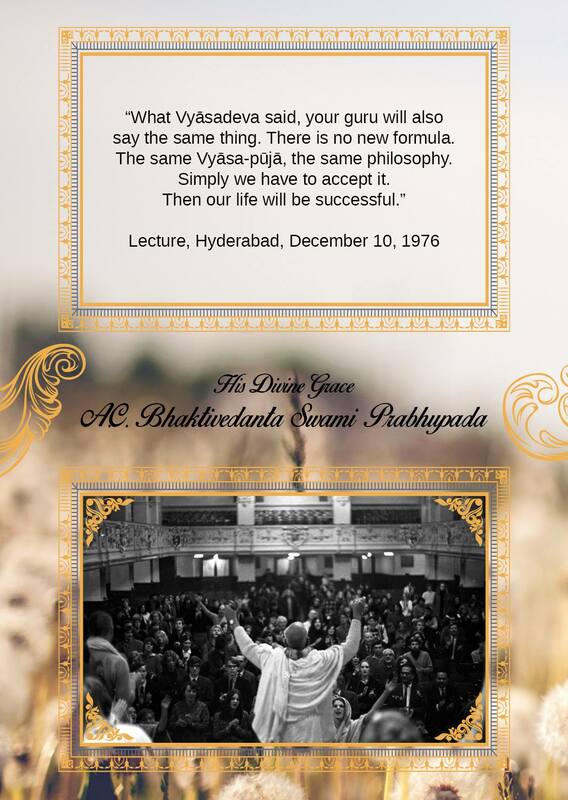 And there is a glimpse of hope that these transformations in our heart-to-heart connection with Srila Prabhupada will continue for many many generations of his great disciples to come, and that hope starts with us.